Pingpong polling and changes to OCC’s approach headline this week’s senate meeting. The Student Government Association senate voted on its first internal proposal of the year during Thursday’s meeting while discussing several changes to SGA hour. These changes include a new polling system, some changes to location and table setups and a revamped approach for the off campus communities. Vice president of community relations Katy Hendricks introduced the year’s first internal proposal, which she based off an idea from SGA president Sierra McCoy and senior vice president Katherine Davis. Hendricks proposed a $143.89 purchase of several sign holders, pingpong balls and small buckets for senators to use as a polling system during SGA hour. The proposal stated that a question about an issue SGA wanted feedback on would be posted on the sign every week. Then, each senator would ask constituents to take a pingpong ball and put it into either a bucket marked “yes” or one marked “no” to cast their vote in the poll. The senators would then count up the balls in each of their buckets after SGA hour and report the vote totals to SGA’s executive board. Hope senator Gabrielle Morris asked that a different material besides ping pong balls be used, fearing that the balls could easily be lost or stolen. 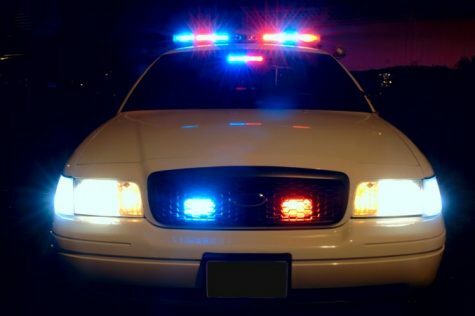 Off Campus Commuter senators Jordan Wright and Naomi Hidalgo expressed similar concerns. However, Davis reassured all three that they could talk to Hendricks about that issue at a later time. Bluff senator Lauren Sutter moved for a same day vote, and her motion passed 11-1 with Wright as the lone dissenter. After some more dialogue, Sutter motioned to pass the proposal, and it was passed by a unanimous 12-0 vote. Davis kicked off the meeting by asking the senators to debrief their first SGA Hour, which takes place mostly in their respective dorm halls between 9 and 10 p.m. on Sundays directly following Singspiration chapel. Senators shared mixed experiences, with some having tougher times connecting with their constituents than others. The most difficult experiences came from senators who do not represent dorm halls. Sutter expressed the need for a more centralized location for her table in Thompson Hall since residents do not need to go through the hall’s lobby to reach their rooms. Wright said that his table near Common Grounds, shared with Hidalgo and Block senator Gabriel Plendcio, had very few visitors and believes the cause is that very few commuters are on campus during Sunday nights. McCoy told all four senators that she is working with Hendricks to completely revamp SGA hour for them since off-campus students interact with Biola in ways completely different from those living in the dorms. After reporting on Sept. 6 that there was no SGA chapel for the fall semester, McCoy announced that she and Davis had met with the leaders of AfterDark chapel and secured a date for an SGA chapel in that space. That chapel is tentatively scheduled for Oct. 24 and will focus on student mental health. McCoy hopes to have SGA support student mental health programs on campus after hearing statistics from a faculty senate meeting that class absences have steadily increased over the past three years due to student anxiety. 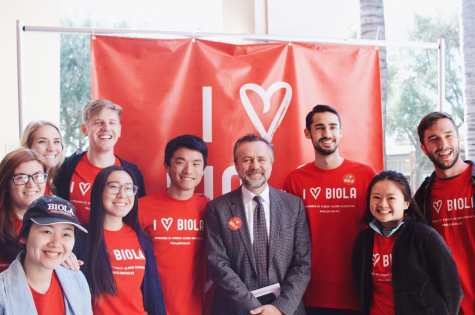 SGA is still looking into mental health initiatives, with scholarships to the Biola Counseling Center as one of the options. McCoy also announced that she is spearheading an SGA effort to replace the artwork along the Student Union Building walls, and has met with SUB management about the possibility. She hopes for a much more “welcoming” and “cheery” style to the new artwork.